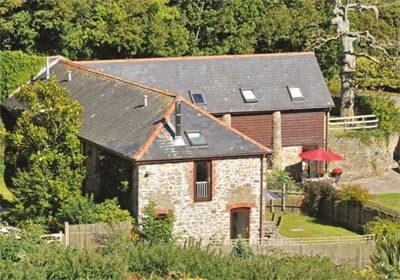 Chestnut Cottage is a very desirable country property within walking or cycling distance of the Devon town of Salcombe. The house also has two attached cottages which already provide a proven income stream. Accommodation in the main house comprises: entrance hall, sitting room, dining room, kitchen/breakfast room, cloakroom and a master bedroom suite and three further en-suite bedrooms upstairs. Outside one of the garages is currently used as a games room, and an outdoor pool is solar-heated. The gardens for the main house are five acres of mature and well-established gardens, grounds and grazing paddocks with views out to sea. Oak Cottage and May Cottage both have two bedrooms and share a private lawned garden and terrace; there is an established revenue stream from these cottages over 15 years. This property also has a strong equestrian element, with four good-sized loose boxes, a tack room and a feed room. 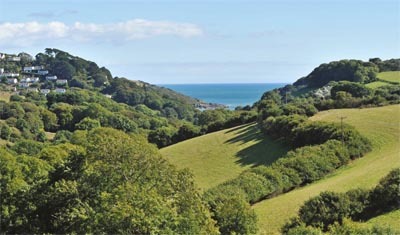 The South Hams is an area of Devon known for its beauty and temperate climate. Salcome and the coast are only two miles away, and there are numerous sandy beaches, coves and sheltered anchorages which make a great base for watersports. The guide price is £1.35m. For further information please contact Knight Frank on 01392 848 822 or visit www.knightfrank.co.uk.